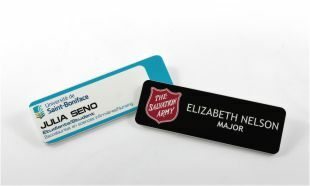 Advanced reinforced plastic and full colour digital imaging combine to provide a name tag that is strong, durable, and shows logos beautifully (even in full colour with photo watermarks). 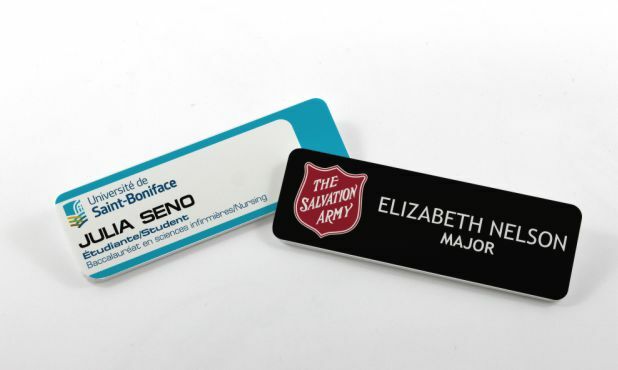 This name tag comes with a rare-Earth magnet backing that is extremely powerful and will hold through suit jackets with ease. It comes complete with one colour or full colour Polyetch inscription. Enquire about our rush services. No production set-up charges. Artwork set-up cost may apply for custom artwork and logos.